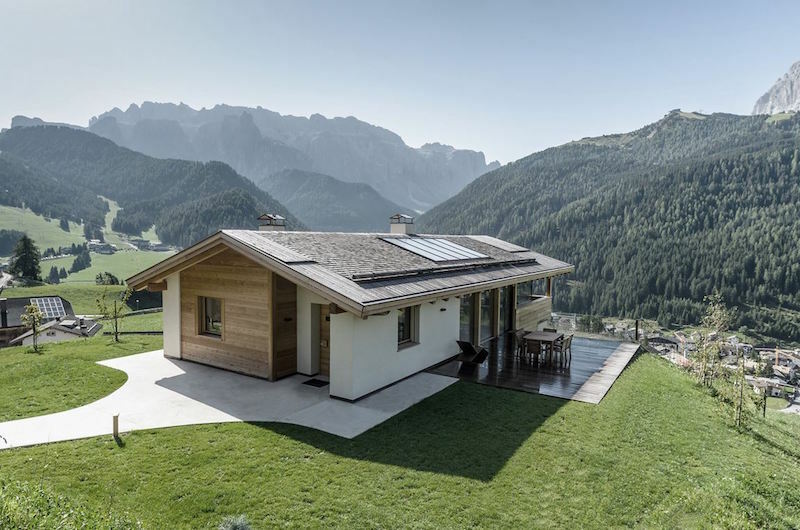 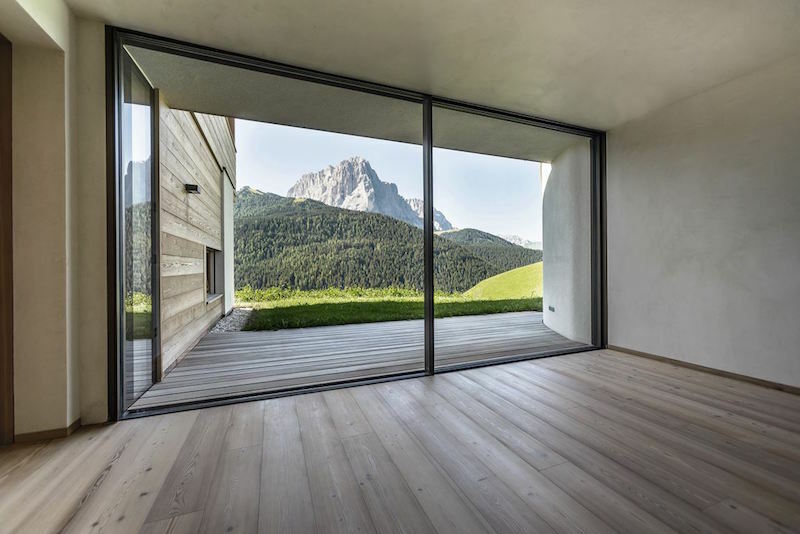 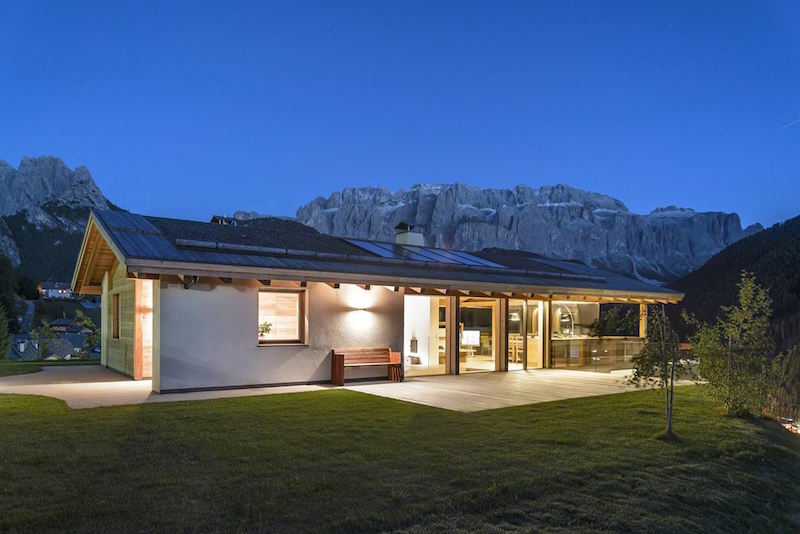 Located in the north of Selva di Val Gardena, this elegant house by Rudolf Perathoner Architect blends beautifully the warm wood materials with the amazing Alp landscape and nature. 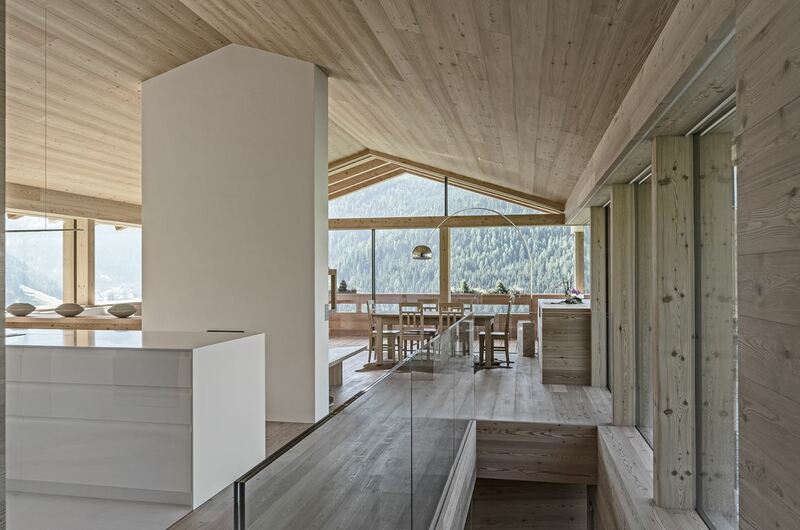 The design of the house gets inspiration from traditional local farms of the valley. 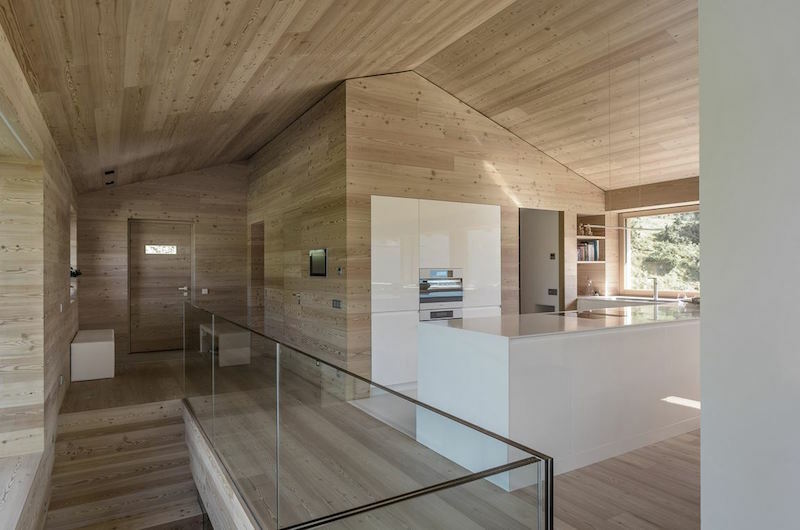 Traditional gable roof and the use of typical local woods such as larch create the cosy and elegant atmosphere inside the house. 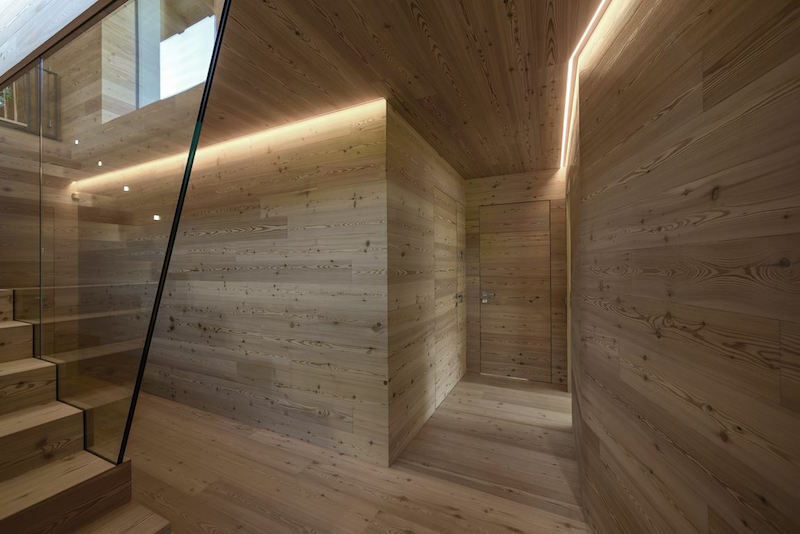 Sliding glass walls in the bedroom, glass rails in the staircase and the rough concrete give an interesting contrast for the tones of wood. 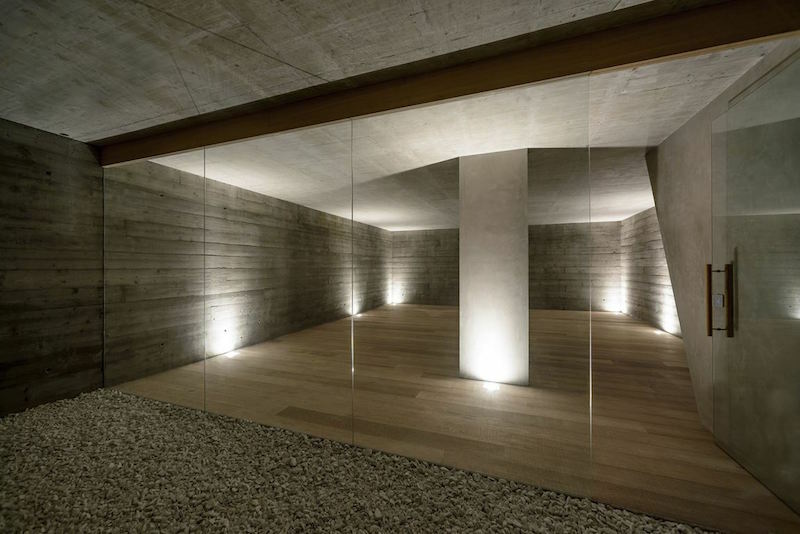 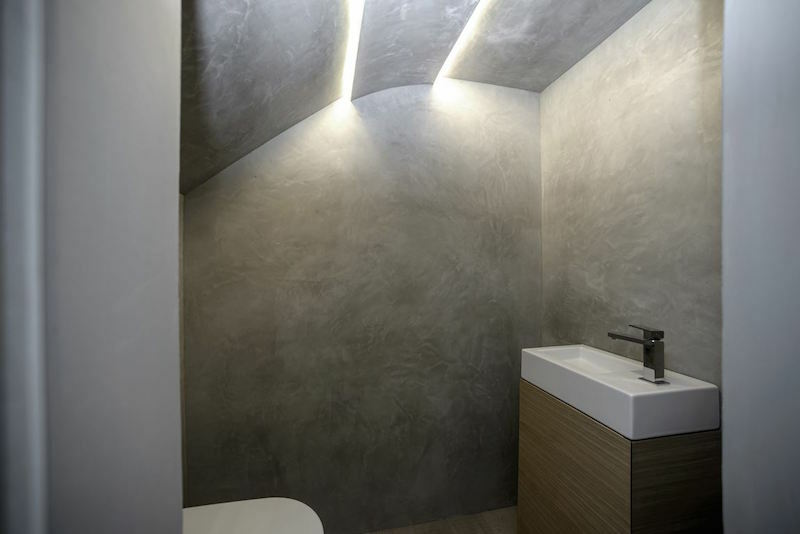 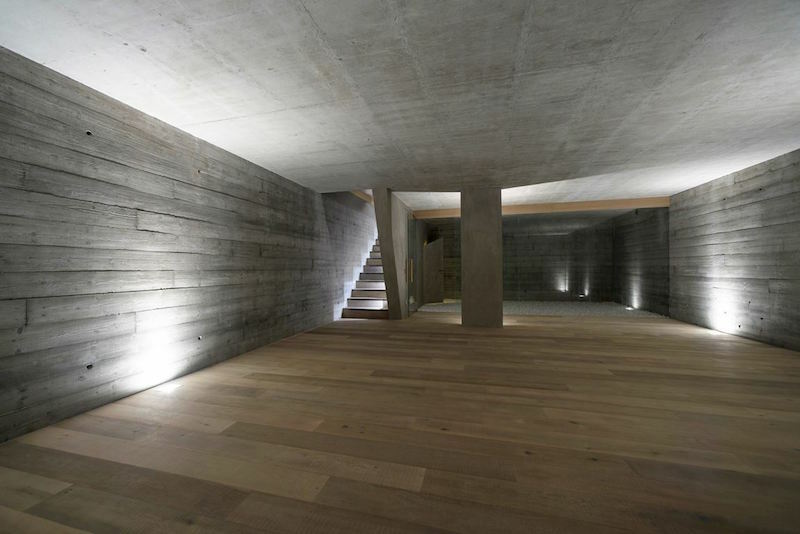 The house architecture takes use of the natural slope topography dividing the house in two floors, putting the garage and cellar in the underground.